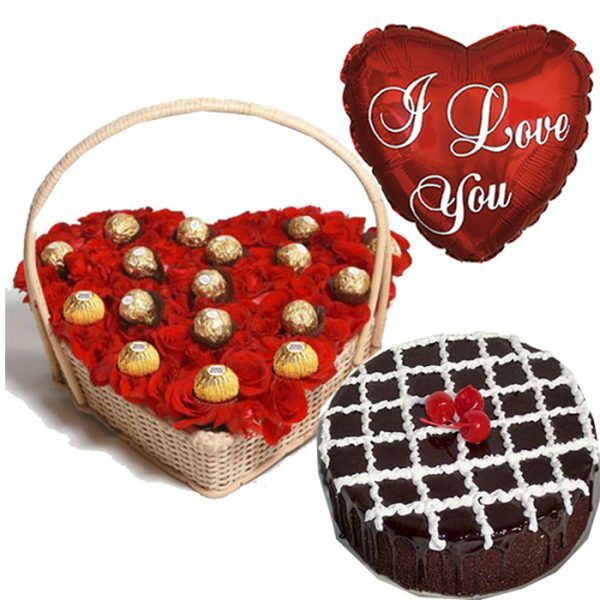 A beautiful gift hamper for your loved ones in Pakistan. 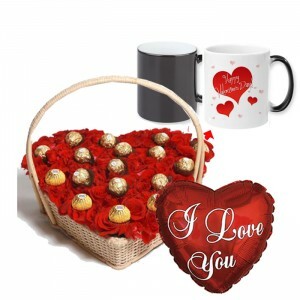 A light-hearted romantic gift, this 45cm (18″) heart-shaped balloon has a red background. It features the greeting “I Love You! An exquisite gift to send to your loved ones. 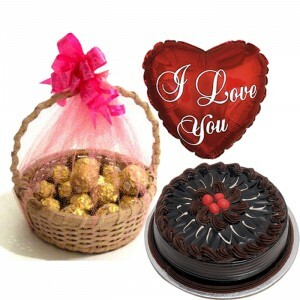 36 Red Roses with 16 pcs of Ferrero Rocher chocolates beautifully arranged in heart shaped basket. -Deliverable only to Karachi, Lahore, Islamabad & Rawalpindi. -Please order at least 2 days prior to 13th Feb.
-Picture is a mere representation; product delivered may vary depending upon availability.